stuff you wish they taught in seminary. 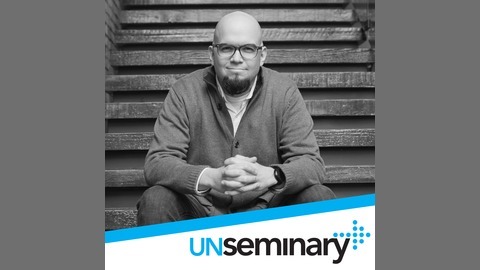 Welcome back to the unSeminary podcast. 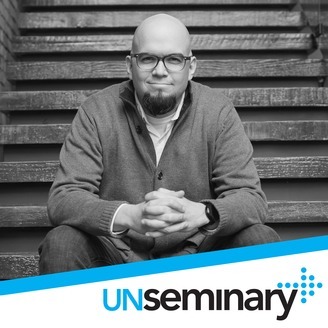 You’re going to be rewarded for tuning in to today’s conversation with Phil Bowdle, the Creative Arts Pastor at West Ridge Church in the Greater Atlanta area. West Ridge started in 2002 and has since planted more than 150 churches all over the world. They focus on trying to put Jesus on display in everything they do and let Jesus do the rest, in the church and the community. Phil coaches churches on building their platforms to reach people and spread their message. He is with us today is talk about what things haven’t changed within a church environment and maybe should change, particularly around the area of communications. Offer online engagement. // 30 years ago church attendance looked very different than it does today, but the playbook many churches are using is still based on that decades old model. Similarly engagement in a church is different than it was 30 years ago. Now people typically engage with a church online through Facebook, Instagram, iTunes or or the church website long before they ever step a foot in the building. It’s not uncommon for people to watch your messages online for months before even attending the church once. Pay attention to what your church is communicating in those online spaces because those are now your new “front door”. Cut through the noise. // The average person runs across over 10,000 branded messages every day. Phil recommends to approach things in a different way to cut through the noise and grab people’s attention. To really attract people with your online presence, change the way you communicate from what you want from them and communicate what you want for them. The best churches are not trying to build their own attendance and engagement, they’re just trying to genuinely help people experience a rich journey with Jesus. Let people know you’re trying to add value to their lives and help them take their next step with Jesus. More with less. // When Phil is coaching, one of the biggest things he sees is that most churches believe more is better: communicate more messages and announcements, use more words to talk about what’s going on, put more fonts in the designs. But Phil explains that people are so overwhelmed with all the marketing they are bombarded with that instead church’s need to communicate more with less. Do the hard work as church leaders to give your community one or two things to walk away with instead of a buffet of options. Create clear systems. // The systems side of communications is often overlooked. No matter your size there are a lot of things that happen in the church. If you don’t have good systems in place to communicate, there is chaos. Create practical and clear systems that help clarify the communication process. Rethink Communication.// Phil has written a book called Rethink Communication: A Playbook to Clarify and Communicate Everything in Your Church. When talking with pastors and other leaders at churches, they all had the same concerns: wanting to reach people, but the old communication playbook they had been using didn’t work anymore, leaving them at a point where they didn’t know what to do. The book provides practical resources to use right away and even to use with a team to build a platform and playbook. Craft customized church capital campaigns to fund new facilities, up-fit existing facilities, buy land, and pay off debt. Find out how much your church could raise in a capital campaign led by INJOY Stewardship Solutions.